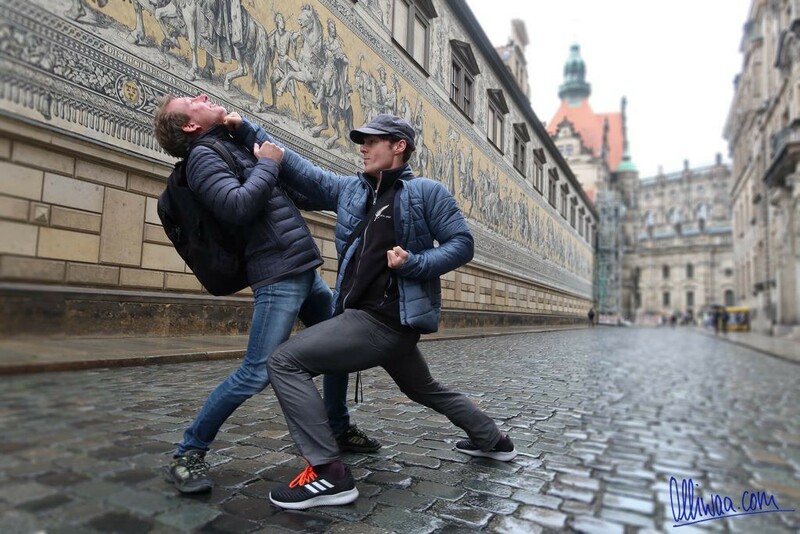 Devoutly, I look at the chancel of the Frauenkirche (“Church of Our Lady”) of Dresden, when suddenly someone from behind takes me in a chokehold. 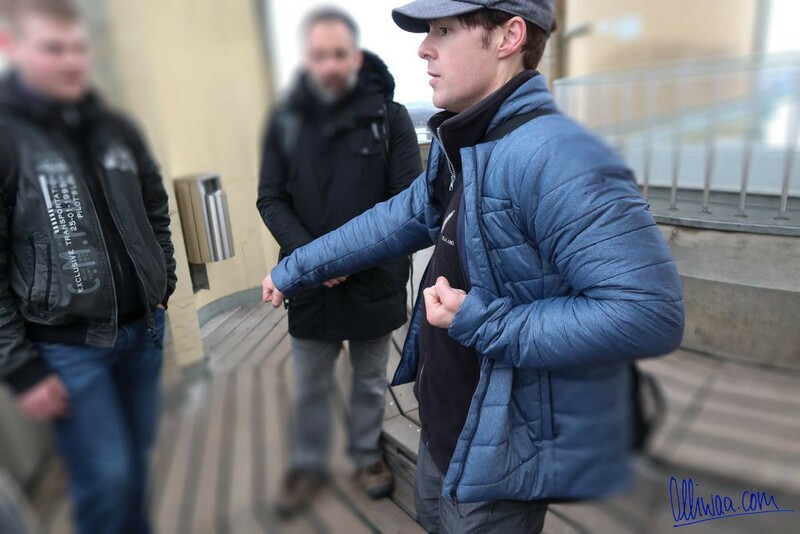 Instinctively I do not make the slightest effort to defend myself. I realize immediately: I have no chance anyway. My Zanchin was too bad to see it coming and good enough to realize who the attacker is. In the early morning of this memorable day, I traveled from Hamburg to Dresden to enjoy some sightseeing. 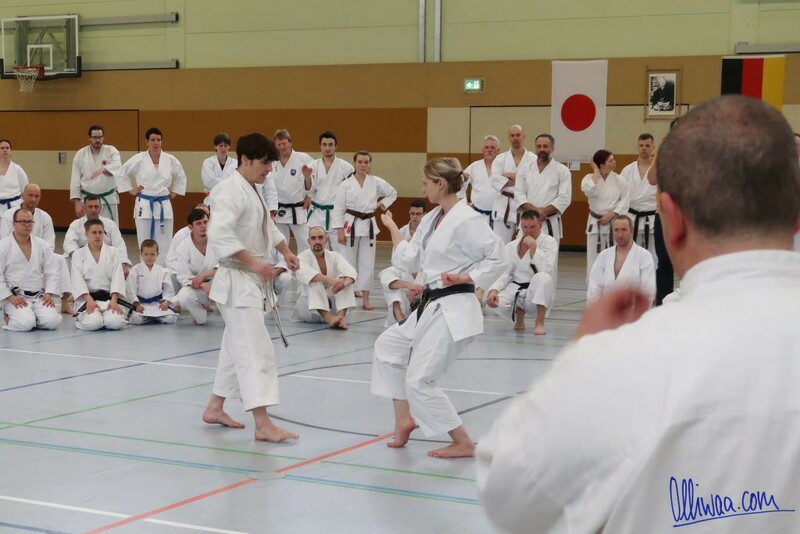 The next day I wanted to continue to the nearby Freital for a Karate seminar. After a long hike across the city – on both sides of the Elbe – I now stand in the Frauenkirche awaiting my end. But someone has different plans for me. The grip is being released. I turn around, look the culprit in the face. Mute cry of joy. The assailant is not alone, he has strong companions. A short time later, we find ourselves on the viewing platform of the house of God and enjoy, high above the rooftops of the city, the beautiful view – on Asai-ha Karate. 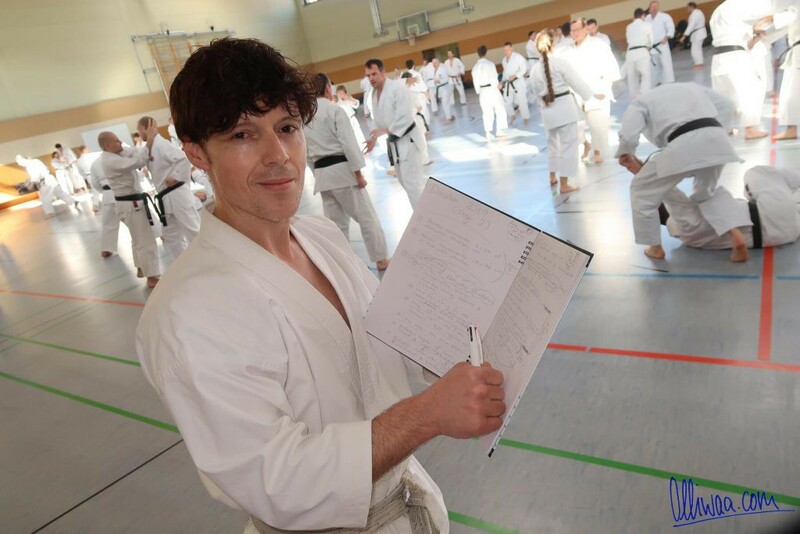 Talking about notes: After 25 years of studying Karate I would never have envisaged to fill my notebook with so many subtleties on the beginner Kata Heian Shodan. And this is exactly where the essence of the entire Freital Gasshuku lies: basic exercises with precisions that are new and surprising even to longtime enthusiasts. 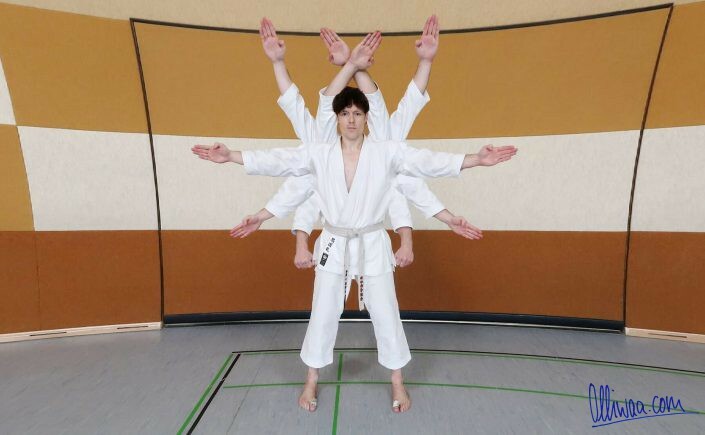 Not the devil lies in the detail (as we say in Germany), but true budo Karate. Sensei is gradually opening his treasure trove – and I bet it’s just the beginning! 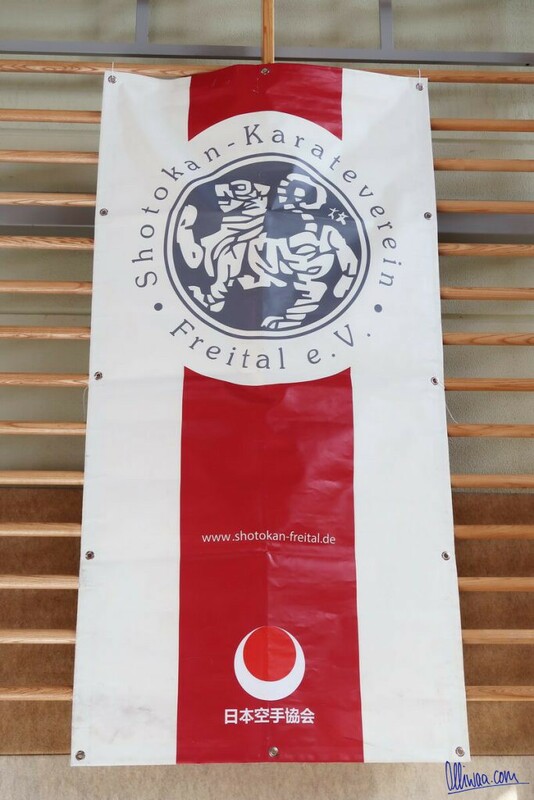 The organizers of the Shotokan Karateverein Freital e.V. have managed to conjure up a splendid event. 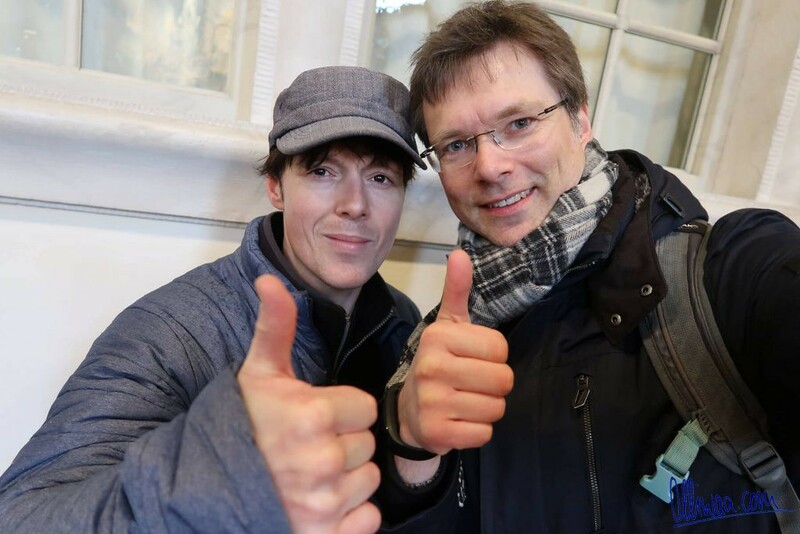 According to their own words, it was their first event of this size (200 participants from all over Europe – under the patronage of the Freital mayor). Free buffet and drinks, a great party in Feldschlösschen (a former machine room of a local brewery), drone photos and perfect translations from English into German and vice versa. Happy faces speak a clear language: Subarashii-desu! The workshop was overshadowed by a vile terror attack in Christchurch, the hometown of our New Zealand teacher. A right-wing madman had slaughtered 50 Muslims in a mosque and published the act on the Internet via live streaming. It was a very nice gesture by the organizers to commemorate the victims. 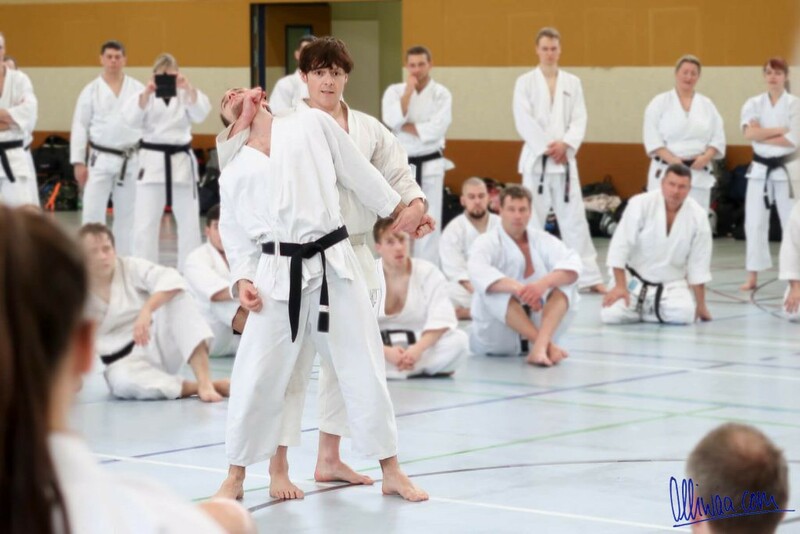 André Bertel himself used this occasion to remind us that in Shotokan we wear pure white suits and no signs of Dan graduations on our belts. It does not matter how thick or thin your wallet is, what someone believes, of what color or origin you are: In Karate we are all the same.